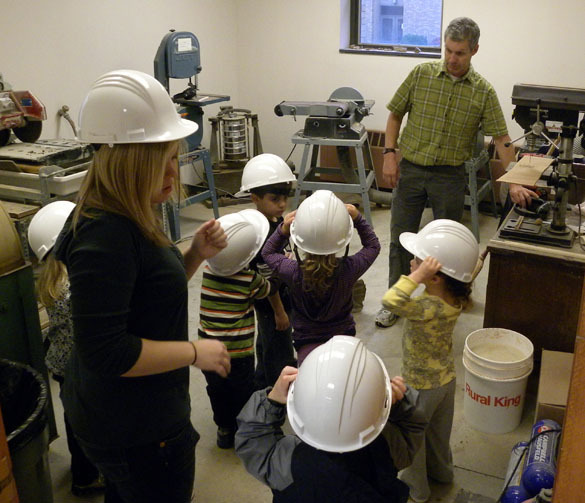 WOOSTER, OHIO — This time it was the turn of Dr. Greg Wiles to host the The College of Wooster Nursery School children as they visited Scovel Hall and its world-famous Wooster Tree-Ring Laboratory. He had ambitious plans for the little tikes, from studying the details of ring widths to donning safety gear to see how the wood is prepared. 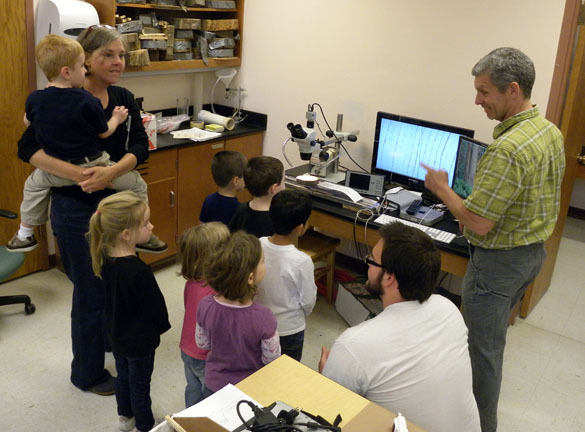 Dr.Wiles shows close-up computer images of tree-rings to future dendrochronologists. The main challenge here was simply keeping all those hard hats on. 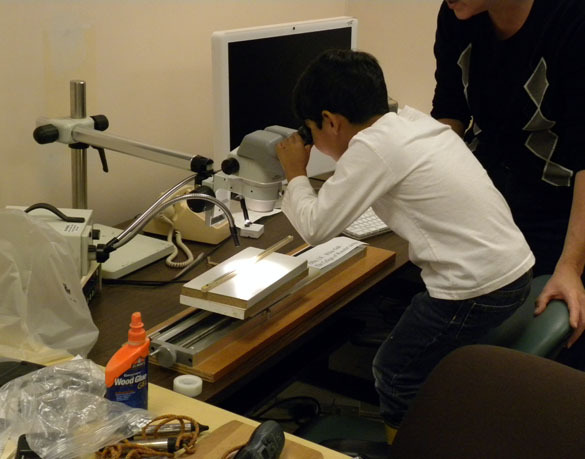 We very much enjoy these visits in the Geology Department, and every one of them has its delightful challenges! Just last month we had the same children studying rocks and minerals with Dr. Shelley Judge and a stout team of Wooster students.